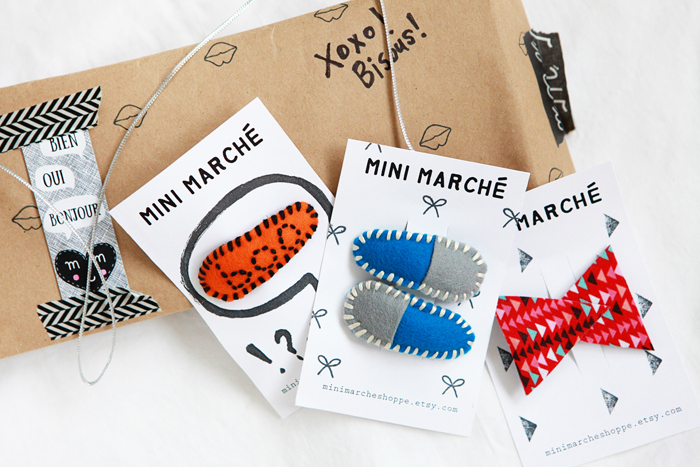 My pal @mini.marche sent us the sweetest and most thoughtful surprise—a set of her handmade clips. I thought they were super cute in photographs, but they are absolutely beautiful in person! Thank you so much for your thoughtfulness, @mini.marche! Avery was over the moon about them and is already planning the days that she’ll wear them. ☺️ Please check out Jeanette's shop on Etsy! 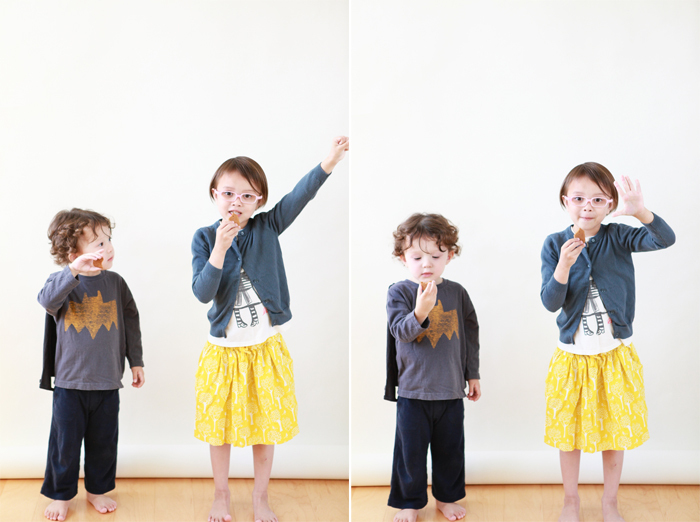 This photo is from back in the summer, when Avery and Nate were obsessed with Totoro! 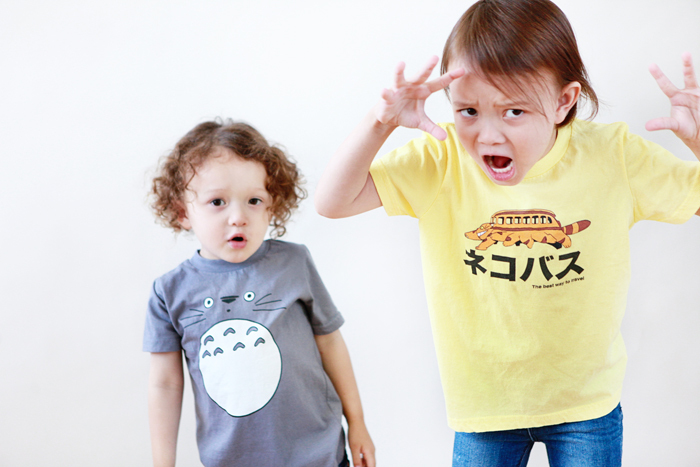 We got them these Totoro and Catbus t-shirts from Redbubble. They could barely contain their excitement. Rawwrrr! Check out Redbubble's entire Totoro collection here. 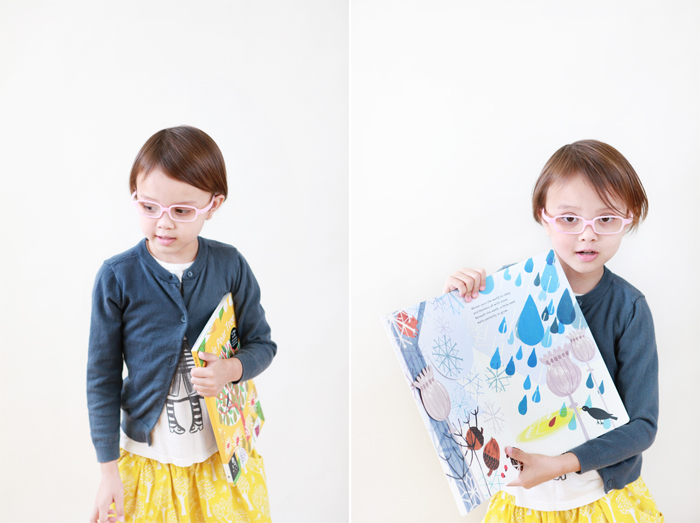 A little snippet from my post today on Honest to Nod, The Land of Nod's blog. Check it out here! This year, for Halloween, Avery is a librarian (cardigan from Gap Kids, t-shirt from Lately Lily and corduroy skirt from Mini Boden). 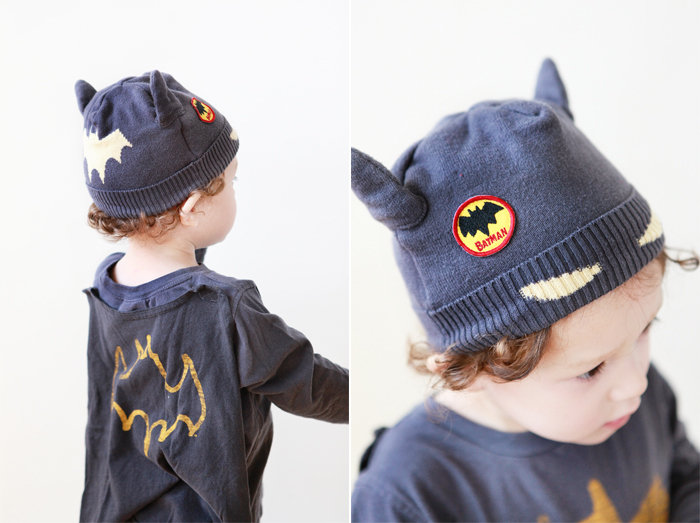 Nate is Batman (beanie and superhero cape tee from Baby Gap). What I love about this year's costumes is that Avery and Nate can wear them all year long. Nate has been going around the house carrying a little shopping bag, saying "trick or treat" and asking for candy. He is ready to take over the neighborhood on Friday night, one door at a time! 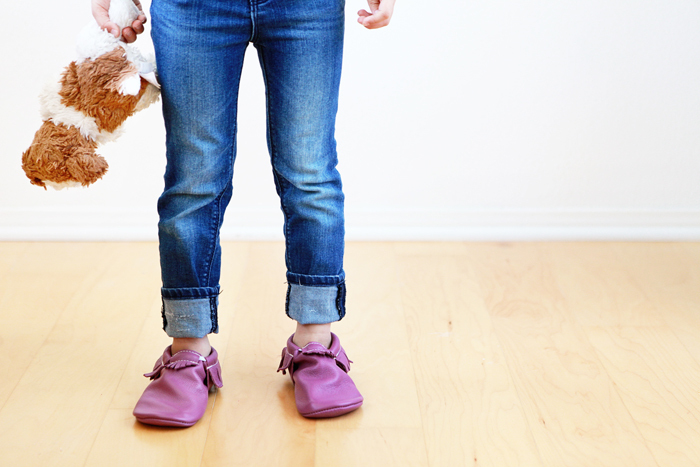 Avery had the chance to test drive a pair of Freshly Picked moccasins not too long ago. She liked how soft they were and loved the color (radiant orchid, a limited edition). Radiant orchid happens to be Pantone’s color of the year. These adorable moccasins have definitely become an essential part of a baby’s wardrobe over the last couple of years but they are also fun for older kids to wear. Striped shirt by Boden, jeans by Gap, suitcase from Paper Source. 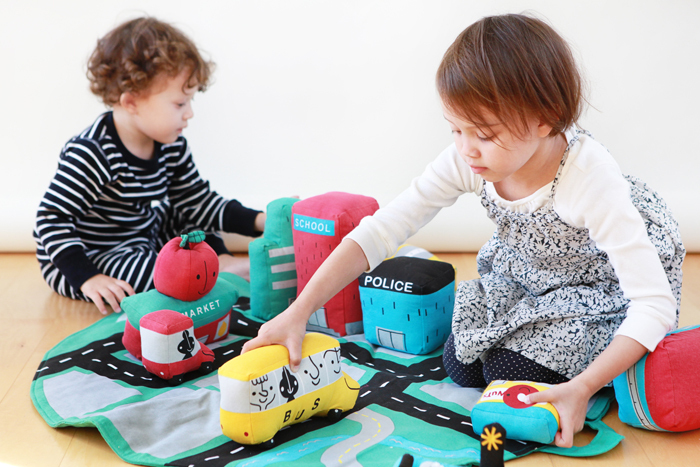 A big thanks to Freshly Picked for sending us this pair of lovelies!